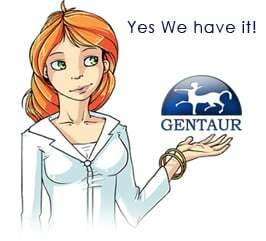 Gentaur antibody-antibodies.com The Marketplace for Antibodies : Enhanced diffractivity of phosphoglucomutase crystals. Use of an alternative cryocrystallographic procedure. Enhanced diffractivity of phosphoglucomutase crystals. Use of an alternative cryocrystallographic procedure. A continuous procedure for replacing the 2 M (NH(4))(2)SO(4) within crystals of rabbit muscle phosphoglucomutase by 55% polyethylene glycol 600 (PEG 600) is described. The success rate (absence of fracturing) approaches 100% in spite of the fragility of the crystals. The procedure is based on the use of a biphasic PEG/salt mixture in conjunction with a flow cell that allows several crystals to be treated at once. The holdup volume of the cell is small and its design minimizes concentration gradients. Cooling treated crystals to 253 K elicits a substantial increase in diffractivity that allows data collection to be extended from about 2.75 to about 2.35 A. However, neither the dimensions of the unit cell nor the structure of the asymmetric unit are significantly altered. Comparisons are made between data sets collected at 289 K using crystals in 2.2 M (NH(4))(2)SO(4) and at 253 K using crystals in 55% PEG 600. Models of the enzyme refined against one or the other data sets are also compared. These comparisons suggest that, at most, only a minor fraction of the increased diffractivity is caused by lowered atomic B values. The increased diffractivity also is not the result of a simple temperature effect since at high-salt concentration the same cooling protocol fails to significantly increase diffractivity. A decrease in mosaic spread is considered as a possible explanation for the increased diffractivity.